YESTERDAY. S P A C E | Helsinki went out in the world. Earlier this year S P A C E | Sheffield (with the lead story, Briefly in Sheffield) and S P A C E | Kuala Lumpur (Kaunter Tiket) had launched, but yesterday, something new. 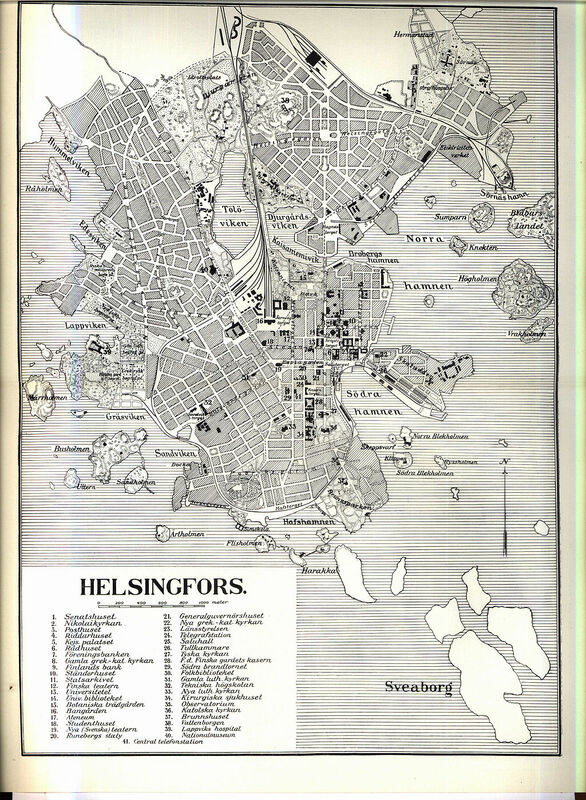 HELSINKI. This time, S P A. C E is both a print-edition zine as well as a PDF. 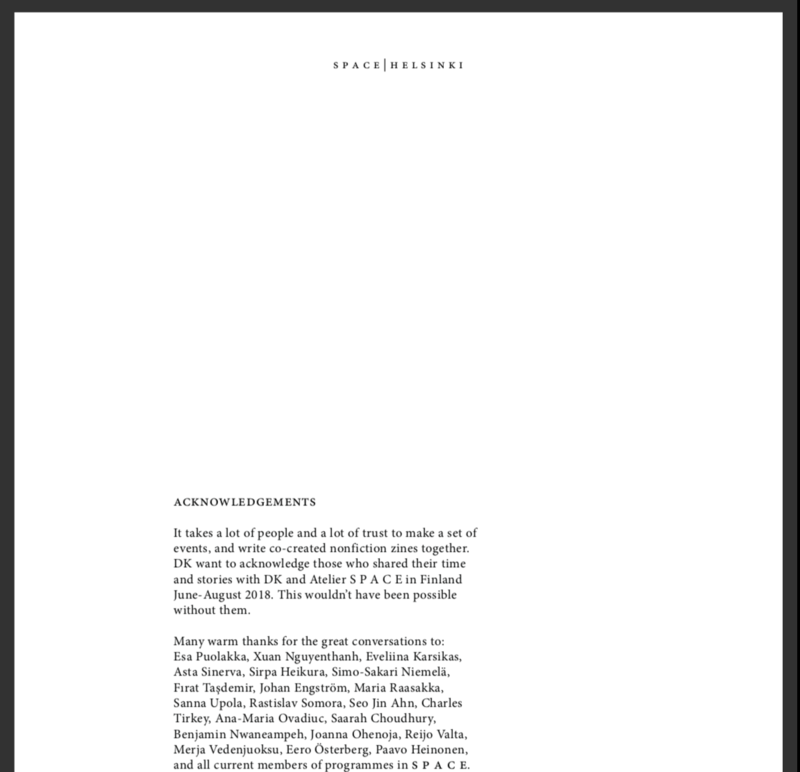 But, seriously, a wallop of a PDF, this round. It’s a 30-pager, packed with photos and some creative nonfiction from the summer in Finland. Three months there, all told, to gather and write the feelings and conversations and make some kind of arc out of it. I am really pleased with the way this one turned out. Why? Writing. Is fun. Relaxing. Coming to the places that are where I want to be, writing about them, sharing what I’ve learned, gathering other people’s voices along the way and co-creating short packed works of hyperlocal creative nonfiction, informed, of course, by local knowledge, experience, and the culture of a place. The work to bring these things into shape is lovely and rewarding and invigorating and hard. And it’s getting more complex and sophisticated, I think, this zinemaking journey—one year, so far. I started Atelier S P A C E over P’chum Ben in Battambang, here in Cambodia. This coming weekend, it’s P’chum Ben again. So that means I’ve got one more year in this 2-year, roving, popup, zinemaking atelier that is getting run mostly out of pocket, with the occasional contribution from ticket sales, zine sales, and, hey, people who just want to buy me a lunch or coffee because they like this idea and can’t think of why anyone would put their own expenses down to make it happen. But for me, it’s obvious. I want to do Atelier S P A C E because I love new people, new input, fresh and original and faraway places that are new to me, and of course, writing, publishing, and sharing. So it hits all the right keys. It took me forever to think up the idea, besides. Writing S P A C E | Battambang and publishing the zine happened in September, 2017. This was, in part, about how a casual acquaintance and I had swapped stories about the ‘Age of Anxiety,’ and what it’s like growing up hyphenated-American. Related? The zine asks that question, and more. 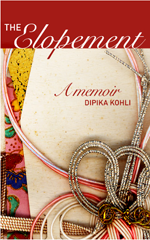 My first book, The Elopement. Listen to the interview on NPR. Kismuth was the prequel, I guess, to the stories ahead, in S P A C E. Creative nonfiction, but in first person, so they were talked about as memoirs. I got all into that whole idea, even though technically it was too soon, in some ways, to write memoir. Someone who wasn’t happy about me publishing anything had said, ‘Who would want to read anything you write?’ Can you believe that? Some people actually hate it when you do the things you really want to do. What did I do? Leave the country. As always for me, it’s the process of getting lost in order to find center that is inviting me to share some of the stories from ‘the road’ in the series of zines. Curious? 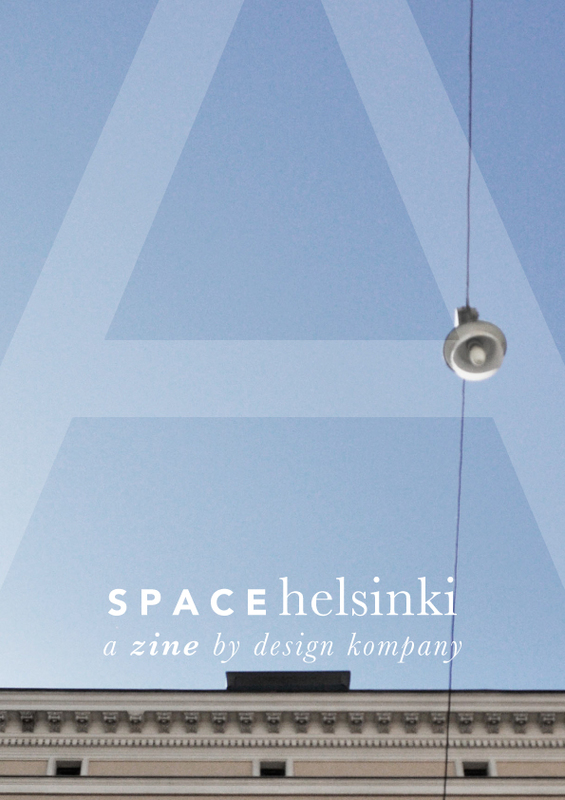 Download S P A C E || Helsinki instantly when you order over here. Enjoy it with a nice cup of chamomile (or, if you prefer, vodka and gingerale) while listening to the track, a mix tape, sort of, Exit Vantaa. Here’s to the journeys, then. The new, the near, the now, and the next.